U.S. film star George Clooney has joined a protest to stop construction of parking lots and a promenade in the northern Italian lakeside town where he owns a villa because he fears his presence is turning the quiet town into a tourist attraction. Clooney was among some 300 townspeople who signed the petition against the planned construction in the town of Laglio on Lake Como, according to organizers. "Yes I signed it. 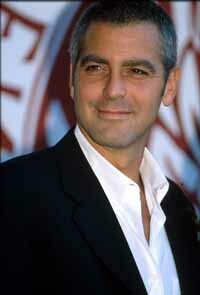 Almost every member of the town signed it," Clooney said in an e-mail to The Associated Press on Friday. "My concern is that this village that has stood for hundreds of years would be destroyed simply because I happened to have lived there for the last six years. I told my neighbors that I would do what they wanted. And it seemed that they didn't want to demolish the harbor where all the local fishermen keep their boats," Clooney said. Clooney said the petition appeared to have had the desired effect, and that the mayor had announced Thursday that at least some of the plans - which opponents say would damage the environment as well as the 18th century old harbor - had been scrapped. Tourism to the town has increased since Clooney moved to the area. Calls to the mayor's office in the Laglio City Hall were not immediately returned, but the head of the committee leading the protest said only part of the project, to cost euro14 million (US$18.76 million), had been canceled. Committee chair Manuela Nuti said she did not immediately know what parts of the project remained. She praised Clooney's participation in the protest, saying it was of "extraordinary importance for the cause." "He always keeps himself informed of things that happen in town," Nuti said in a telephone interview.